Elevated homocysteine levels have been associated with increased risk for disease including heart attacks and strokes. Homocysteine is an amino acid that results from the breakdown of proteins, particularly animal fat. It is more common in diets higher in animal fat and lower in fruits and vegetables. Healthier foods, for example leafy green vegetables, fruits, whole grains, beans, peas, lentils, and sunflower seeds, provide folic acid and other B vitamins that help reduce homocysteine levels. 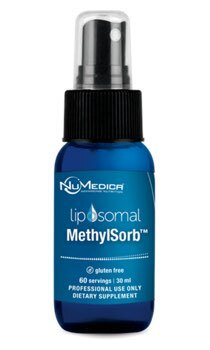 Liposomal MethylSorb from NuMedica provides four essential nutrients to support healthy homocysteine levels and optimal methylation. The 5-MTHF in this formula - Quatrefolic® - is the most biologically active form of folate, allowing rapid uptake into the bloodstream. It is also known as the "L" form of 5-MTHF since it is the most reduced form of folate. Methylation is a basic but critical biochemical process that takes a single carbon and three hydrogens, known as a methyl group, and uses it to regulate DNA processes in our body including turning on/off genes, repairing DNA, and fighting infection among others. 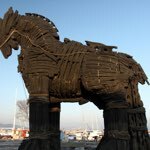 When we do not methylate properly, over time it can lead to higher homocysteine levels and disease. The B vitamins from Liposomal MethylSorb are provided in their active forms to support enhanced methylation and cardiovascular health. Additionally this formula features NuMedica's advanced liposomal nutrient delivery technology. A liposome is a phospholipid (important molecules that provide structure and protection to cells) that forms a barrier around its contents, in this case the folate and B vitamins. This protective barrier is resistant to enzymes in the mouth and stomach, alkaline solutions, digestive juices, bile salts, and intestinal flora that are generated in the human body, as well as free radicals. Liposomes pass through the digestive process without degrading the encapsulated nutrients so that more of the nutrients enter the bloodstream and reach the intended cells and tissues. Many supplements are poorly absorbed because the active ingredient(s) and nutrient(s) are mostly lost in the digestive process before they reach the bloodstream. 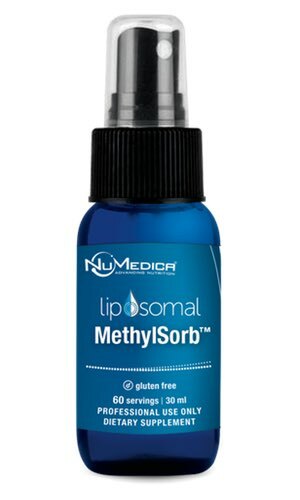 NuMedica Liposomal MethylSorb provides essential nutrients including folate and B vitamins delivered in non-GMO phosphatidylcholine liposomes for optimal absorption and bioavailability. These liposomes transport the folate and B vitamins through the intestinal wall into the bloodstream where they can more efficiently reach their intended target. Take 0.5 ml (2 pumps) daily, or as directed by your healthcare practitioner. 1 As Quatrefolic® 5-MTHF. Quatrefolic® is a registered trademark of Gnosis S.p.A. Patent number 7,947,662. When did this product become available? What is the 1250 mcg of this folate? Is it folic acid or what?